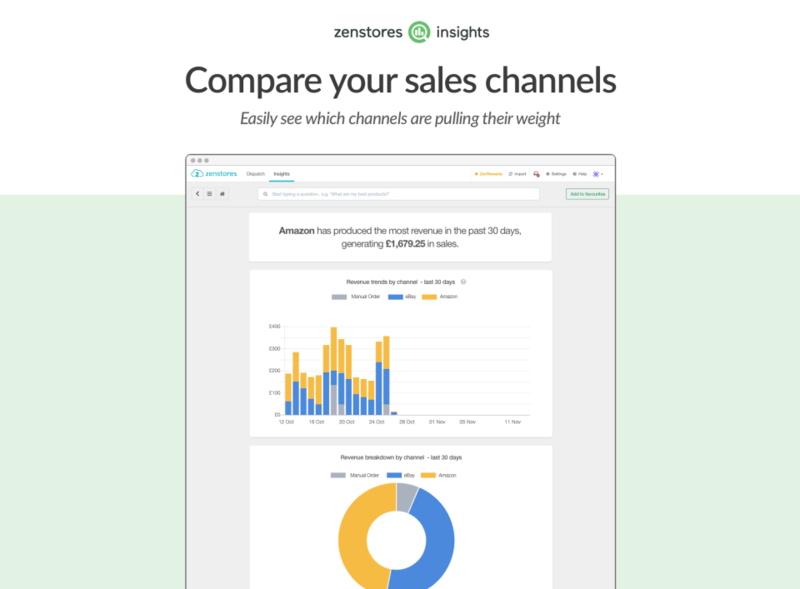 Zenstores Insights is for any online seller who wants to keep track of their sales trends across all channels and get concrete answers to critical business questions. 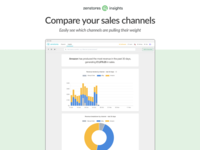 Zenstores Insights is a powerful sales dashboard that shows you how your business is performing across all your sales channels. 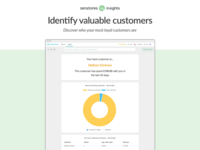 Instantly identify the channels, products and customers that are driving your business growth. 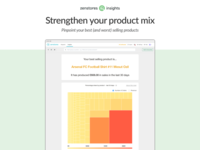 Zenstores Insights Reviews Recently Reviewed! Cons: Would love if eBay messages were highlighted - simply because eBay's message system makes it easy to miss messages, for me anyway. BUT - this is not something I had expected. It is order/dispatch software after all! Overall: Really useful - super clean layout. Makes it simple to send items quickly. If you have a lot of an item to send out, the option to filter by product is really helpful - simply print off all of the labels for that product. No more having to go back and check who ordered what. Also great for looking up past orders, so much better than eBay's interface. We really appreciate you taking the time to leave us a review and we're glad Zenstores Dispatch is helping you to manage and ship your orders easier! 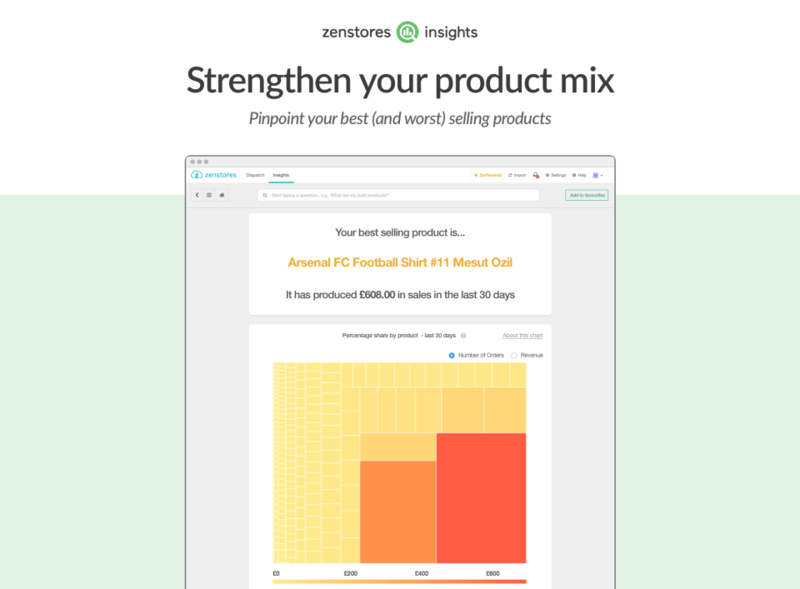 Pros: Zenstores is a great time saving piece of software. Seamless integration with our selling channels and our carriers too. It saves us a lot of time every day and we would receommend it to any ecommerce company that uses the channels and carriers that they support. Cons: Whats not to like? It does what it says on the tin! Although it supports most of our current sales channels and couriers, we look forward to more integrations becoming available in future. Software to get your life back ! The Time I save gives me my life back !. i'm no longer tied to the computer for hours . Weekends are great again now ! All my weekend orders processed ready for Monday in about 45 minutes rather than 3 hours ! Hi Robert, thanks for your review, we're happy to hear Zenstores Dispatch is saving you valuable time! Pros: Easy to use, does what we need it to, always growing it. Cons: Still some aspects in development, but the team are great about taking feedback and developing their product for our needs. Overall: We couldn't do without Zenstores these days, great team to work with and indispensable service. They save us huge amounts of time every week. Save more money than Zenstores costs just on Free Royal Mail Labels alone! Comments: We are a Big Seller on Amazon and Ebay. Our label cost alone was more than Zenstores costs each month. With Zenstores you can print directly onto a 6 x 4 Thermal Printer and the paper is FREE from Royal Mail (Order Mail Supplies Section) You dont have to use Barcodes and can continue using your PPI Stamp on the top. 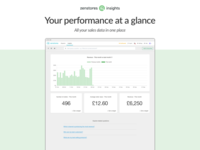 Zenstores also saves us time finding orders as we now just search for the customers postcode as ALL orders are imported into the 1 Zenstores Screen. 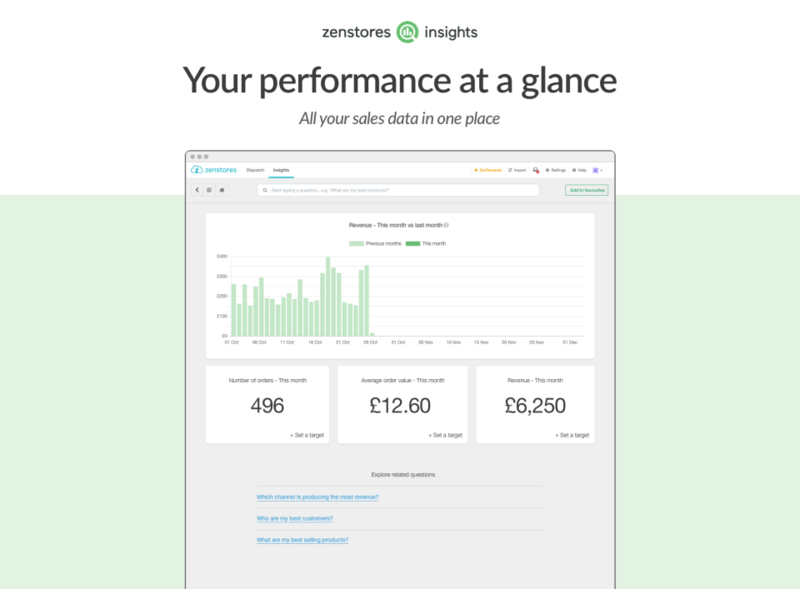 Printing Invoices is just a few clicks and downloading sales data is also a breeze. We can print APC Courier Labels directly from Zenstores and there is no entering address again into other Courier Screens, just click and the APC label is printed. Mark as despatch in Zenstores and the orders are marked as despatch on Amazon and Ebay. Zenstores will save you lots of Time and if you spend a fair bit on Labels each month, it will save you money aswell. Great Work Guys! Nigel @ AC ADAPTORS R US LTD. Thanks a lot for your review Nigel, we're glad Zenstores Dispatch is saving you money! Comments: Zenstores is so simple, they had us up and running in less than a day with links to couriers, so that now we can now sit back and click a couple of buttons and print hundreds of invoices and despatch labels, yes life can be simple!! Other people try and build systems that are all bells and whistles and it is then a nightmare to learn how to use, but the great fact is that this is so straight forward it frees up time to be doing other things. The support is great the few times I have contacted them to check the integration links are working correctly I have got a response within minutes (even late at night, 7 days a week) and regular updates. They talk to there customers to see what developments we want, not just adding features that look pretty and have no use to us their customers. What more can I say "why are you not using them?" Hi Derek, thanks for your review, we're delighted Zenstores Dispatch is working smoothly for your business. Cons: 30 minutes window for updates to channel, but its because they want the system to be available to everyone. Overall: Easy to use system, reduces label generating time, great customer service and good value for money! Thanks so much for your review Vidur! Comments: Zenstores has made life easier, getting my parcels ready for Royal Mail is no longer a chore. As I work on my own it's like having another person on my team and must save me on average 45 minutes each day to do other things. Hi Rachel, thanks for the kind words, it makes us happy to know Zenstores Dispatch is saving you time! 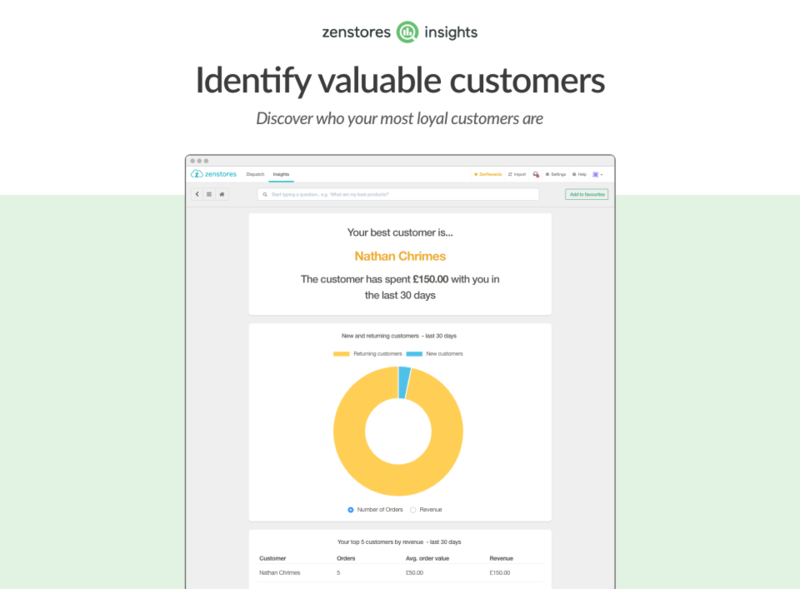 Comments: Since i join Zenstores it really help me to save time and it's really easy to use.The best service and very helpful staff as well. My Amazon & Ebay use to take loads of time to print labels as we get more then 100 orders per day and now it take less then 2 mins and everything ready. Hi Jenny, thanks for your review, we're delighted to hear Zenstores Dispatch is delivering for your eBay and Magento store! Comments: We switched to this software last year and I couldn't be more pleased. It saved so much time and helped organised our shipping system.